Judi Dench. She's the reason I found myself in the West End for a second theatre expedition to London this past November. I hadn't planned on it; my budget hadn't planned on it; but the universe clearly had other plans, and who am I to argue with the universe? Or Dame Judi? Seeing her on stage has been on my wish list for years, and it didn't hurt that Kenneth Branagh has just formed a theatre company, with a stellar first season, including Kenneth starring with Dench in A Winter's Tale, Harlequinade, a farcical comedy that I had not seen before, and All on Her Own, starring Zoe Wanamaker, another treat to see on stage. 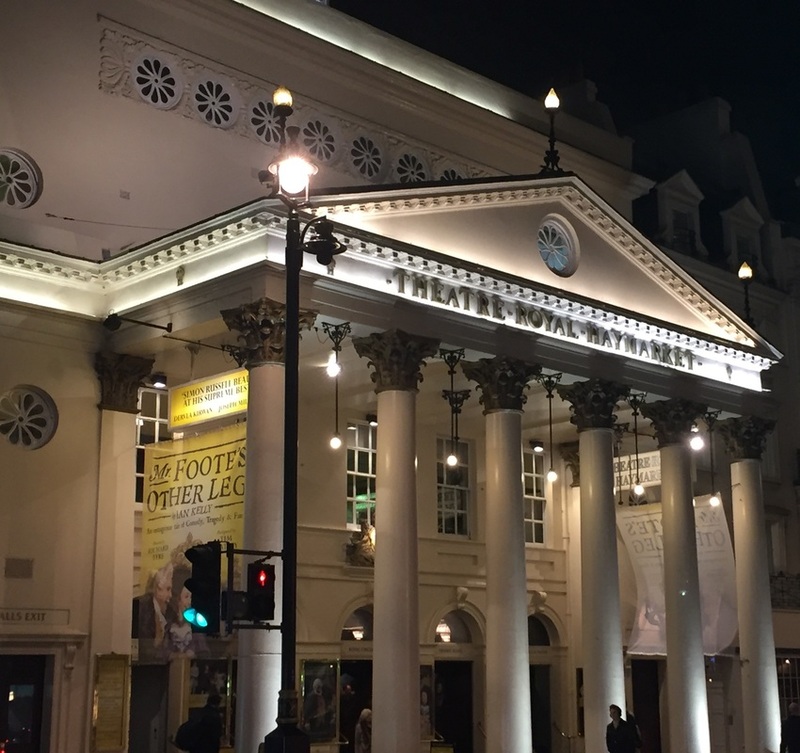 Shopping for shows is one of my favorite pastimes, no matter the locale, but London is especially fun because many of the theaters are unfamiliar to me, and it's fun to discover a new corner or new neighborhood, or even a new town outside of London. By the way, my go-to website for London theater is Official London Theatre (officiallondontheatre.co.uk). Note that you don't have to buy your tickets through their links. You can go directly to the show website or search elsewhere for discounts. 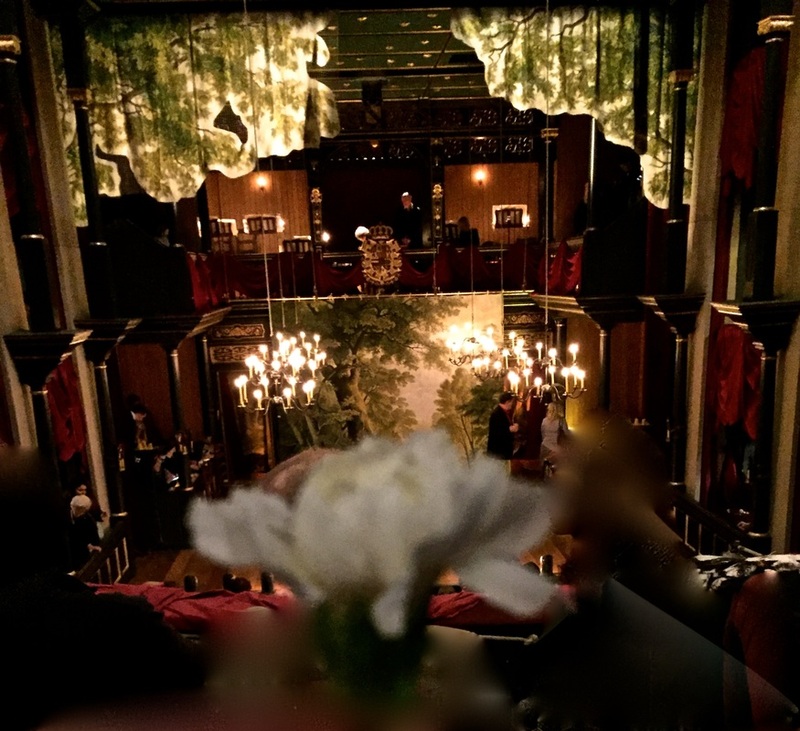 I do know some of the theaters by reputation and experience; the Royal Shakespeare Company and the National Theatre in particular. I remember seeing the RSC perform a spectacular A Midsummer Night's Dream (my favorite Shakespeare play) on tour while I was living in Melbourne, Australia, and had always wanted to visit their home in Stratford-upon-Avon, which I did in 2013, and will definitely do again. 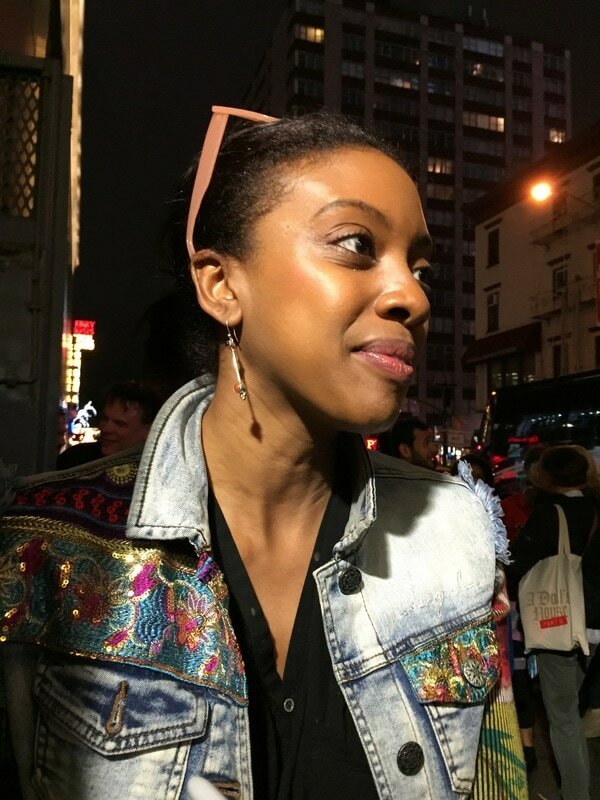 This time, I focused on The National Theatre, as I'd seen their productions of War Horse, and The Audience, (starring Helen Mirren), on Broadway, and I wanted to experience a production on their home turf. When I saw that Jane Eyre was playing while I was there, it was an easy choice, and turned out to be a fantastic decision! 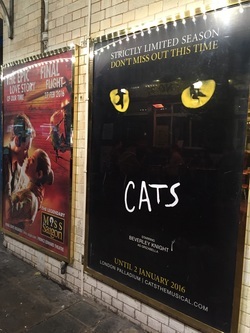 It's also fun to see shows that are no longer on Broadway, but that I missed along the way, and I took my first trip to the famed London Palladium to see Cats, which I hadn't seen since 1983 in DC on its first national US tour. 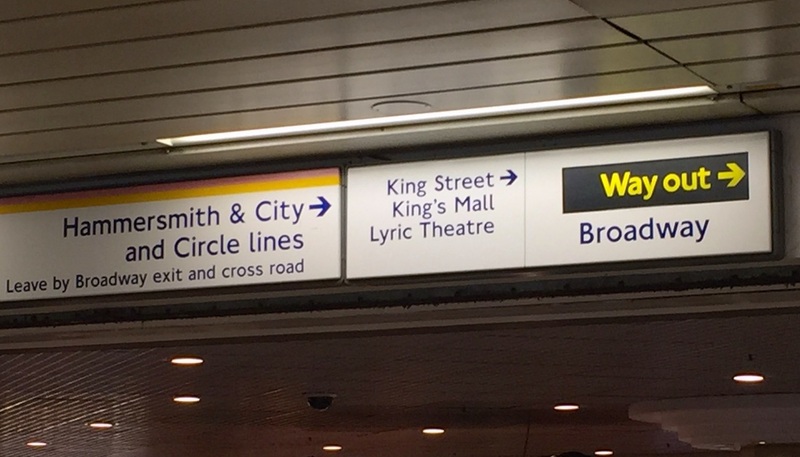 I also made what turned out to be an ill-fated attempt to see a much-lauded production of In the Heights at King's Cross. I thought it would be great to see a production of Lin-Manuel Miranda's first Broadway show, amidst the storm of attention being paid to his current Broadway masterpiece, Hamilton. Unfortunately, nature and mechanics did not cooperate with me on that choice, as I explain below. 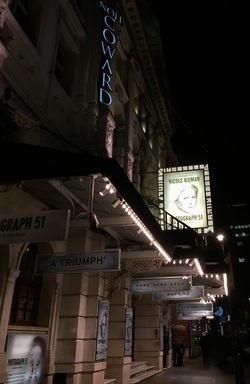 Along with Judi Dench, Kenneth Branagh and Zoe Wanamaker, Nicole Kidman and Mark Rylance (one of my very favorite actors, on and off Broadway) were also appearing in London plays at the same time. 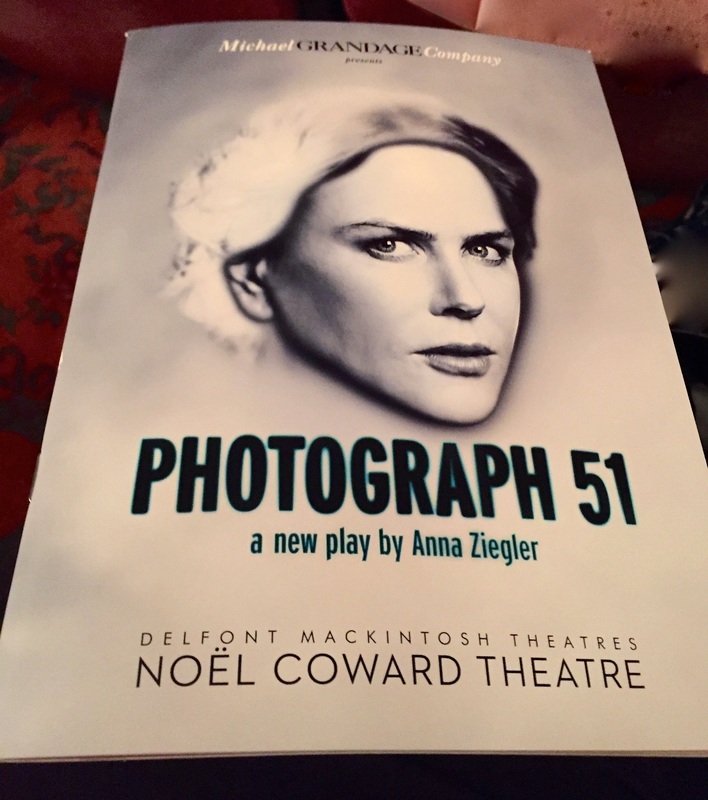 Kidman starring in Photograph 51, which sounded like a fascinating story (based on the true story of Rosalind Franklin, the woman who actually discovered the double helix structure of DNA before the men who have the credit, Watson and Crick), and Rylance in a play with which I was unfamiliar, Farinelli and the King. Mark Rylance is absolutely a "destination actor" for me; I will see him in any show he decides to do! So, I'd planned five days of theater, but to my great thrill, the long-rumored revival of Funny Girl turned up as starting previews just a couple of days after I'd initially planned to leave London. Really, what else could I do, but extend the trip?? 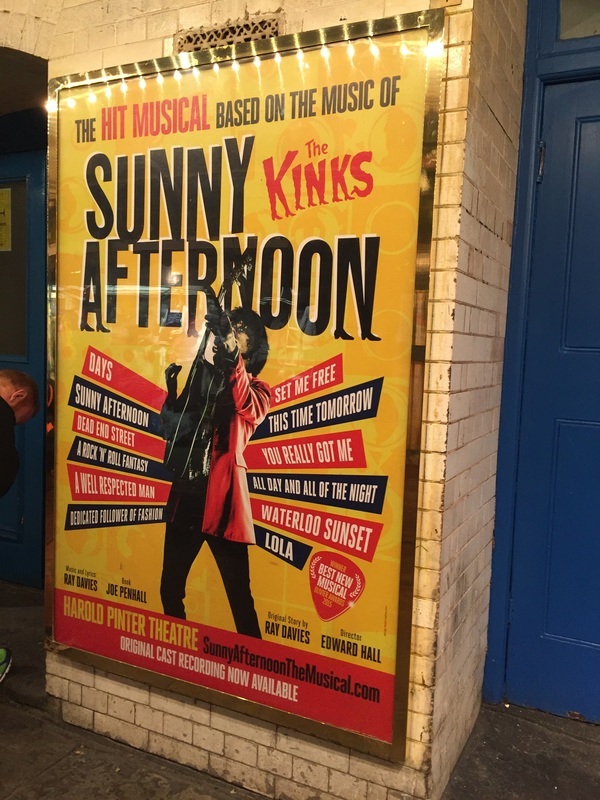 It was going to run at one of my favorite London theaters (Off West End), the Menier Chocolate Factory, which is an intimate black box space (meaning it can be configured as needed by the show), and yes, there is a restaurant that has chocolate on the menu that shares the building. I had been to Menier in 2014 to see Aaron Tveit (did you just see him in Grease Live!??) in a revival of Sondheim's Assassins, and vowed to return. Spoiler alert: definitely the right call. 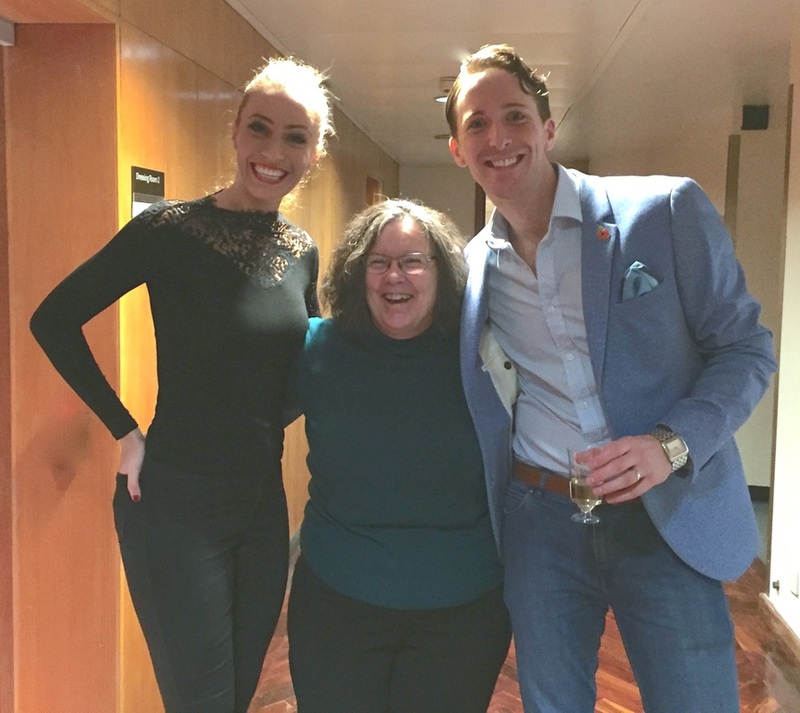 Also coinciding with my visit was a chance to see my friends Alan Burkitt and Charlotte Gooch dance in a one-night only program of classic song and dance musical numbers. Making the tough choices about what to see on my infrequent visits to London is seriously painful, but seeing talented friends perform is not a tough choice! In other news, I'm short. I did, however, decide to leave a couple of show slots open to see how I felt while I was there, and to experiment with the discount ticket booth in Leicester Square (the London equivalent of Broadway's TKTS), and the TodayTix discount ticket mobile app that operates in certain US cities (including NYC, DC, Chicago) and London. That strategy left me with one rousing success (The Play That Goes Wrong), one enjoyable afternoon (Mr. Foote's Other Leg), and one hiccup (the aforementioned In the Heights). My friends sometimes comment that they think I love everything I see. Not so. What I do dearly love, always, is the experience of sitting in a theater and being told a story on stage. So, because I go in with that filter, I almost always find lots to enjoy about a show, even if I felt it was more flawed than not. The other factor in the equation is that I make very careful choices; and while I rarely read reviews, I do take "buzz" into account. So I am probably choosing right (for me) more often than not, and I have extremely diverse and eclectic tastes, which doesn't hurt. Turns out, this trip was no exception. 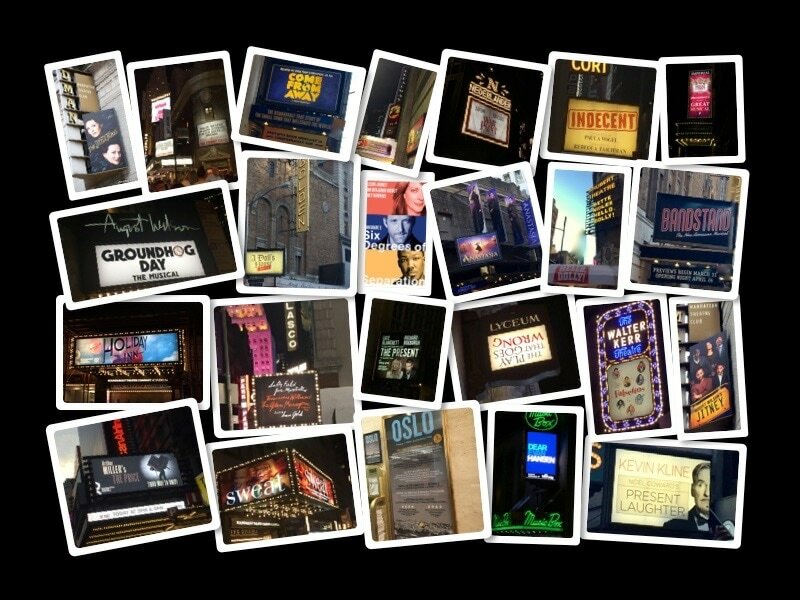 I really did love every show I saw. They were each so different from one another, and provided great contrast each day. From the snow gently falling as the show opened, to the force of presence that these two actors bring to the stage, I was spellbound throughout the show. This is one of Shakespeare's plays that I've made a point of seeing multiple times. Along with The Tempest and A Midsummer Night's Dream, it has a story I enjoy seeing interpreted in different ways. The cast overall was stellar. It's hard to imagine I'll see a more beautiful and well-acted production of this play. Wildly inventive, with abstract staging and musicians on stage, providing sound effects as well as accompanying music. The incredibly powerful performances by actors, sometimes playing multiple roles, made me hear this classic story in a completely new way. The unexpected staging emphasized the despair and futility the characters battled, while also making the characters stripped down and more vulnerable to the audience. And The National Theatre is fantastic (some photos from the foyer area below)! Pure, unadulterated silliness; a great example of the things that make a farce work: actors who are completely fearless and without ego, a simple enough story, and a set/staging that is technically close to perfect. The audience is theoretically watching a hapless theater company attempting to put on a show while avoiding its apparently usual calamities. It's a play within a play and double the fun. The set, and its deft manipulation by the actors, was a big part of the success of the gags! The story of a king suffering from the onset of dementia, who is calmed only by the angelic voice of Farinelli, a famous opera singer. The increasing madness of the king, contrasted with the beauty of the arias sung by Farinelli was stunningly poignant. 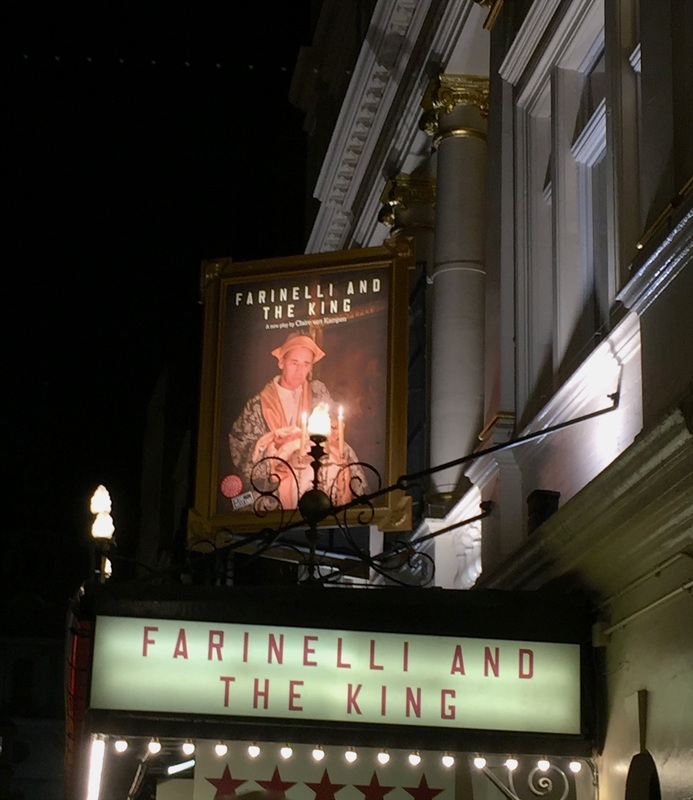 I am not an opera aficionado, but the role of Farinelli was cast with professional tenors, and I overheard other audience members talking about how they had come to the show to hear that particular tenor. 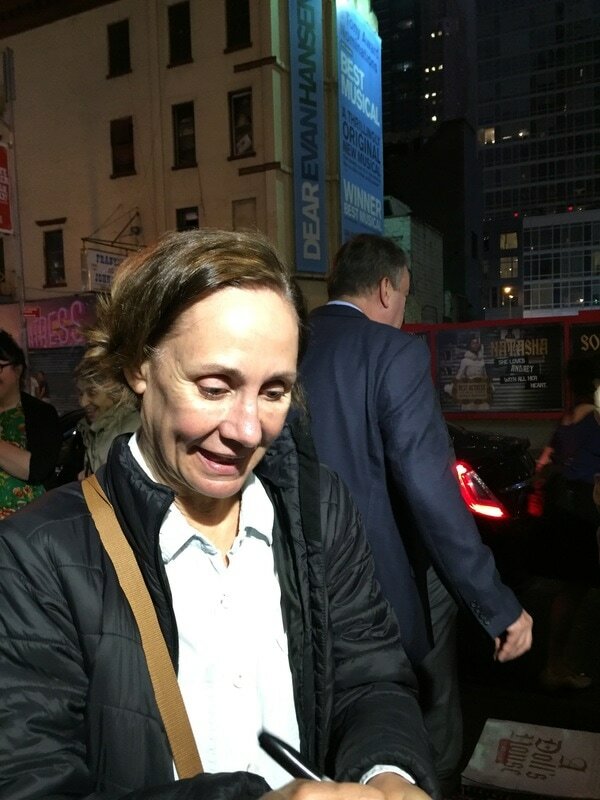 For me, Mark Rylance as the king was the reason to go, and he did not disappoint. Rylance is so vulnerable and chameleon-like; fluid and natural on stage. If you've seen the recent movie Bridge of Spies, Mark is the spy, and has been nominated for an Oscar! He's also a very kind, kind man in person. And as you can see in the glimpse above center, the set was gorgeous. In the foreground is the flower that a sweet stage hand gave me at the interval (when in London...the intermission is an "interval" :)). 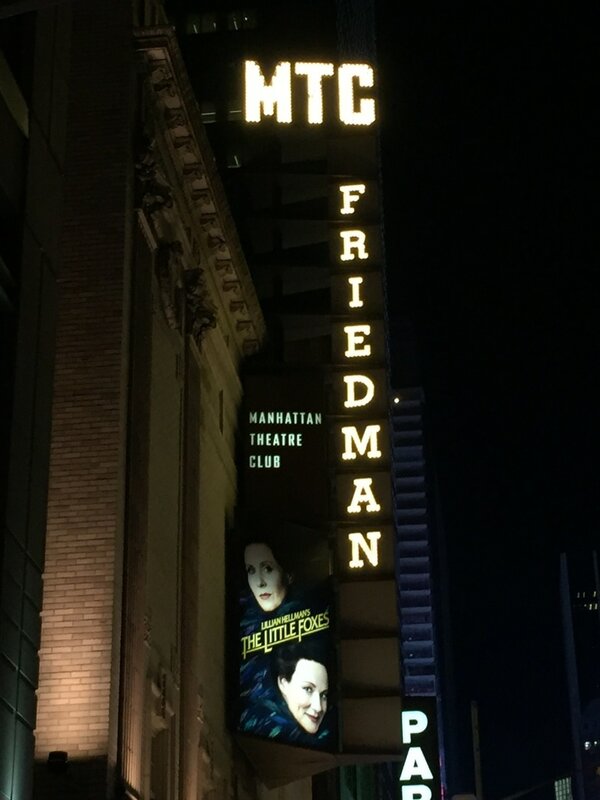 A short, taut, psychological thriller of sorts, this play was such a fascinating glimpse at the way women were (and still are) marginalized and disrespected in staunchly male-dominated fields such as science. But more than that, in Nicole Kidman's remarkable embodiment of Rosalind Franklin, who actually "discovered" the double helix structure of DNA, the character was heartbreakingly human and provided such insight into how we are each a mixed bag of talents and challenges; how we balance that bag as we carry it is the key. In a serendipitous twist, I found myself at a small group (maybe 30 people) talk back after the show. The playwright, the director, and cast members discussed the importance of the show, bringing it to London, and then answered questions. Nicole Kidman is articulate, warm, humble and quite funny! Also of note is that the playwright, Anna Ziegler first premiered this play with Active Cultures Theatre in Maryland. Based on British theatrical history, this play has a tragicomic relevance to present day "celebrity culture," and what can happen when an individual becomes a public persona, and life spins out of their control. 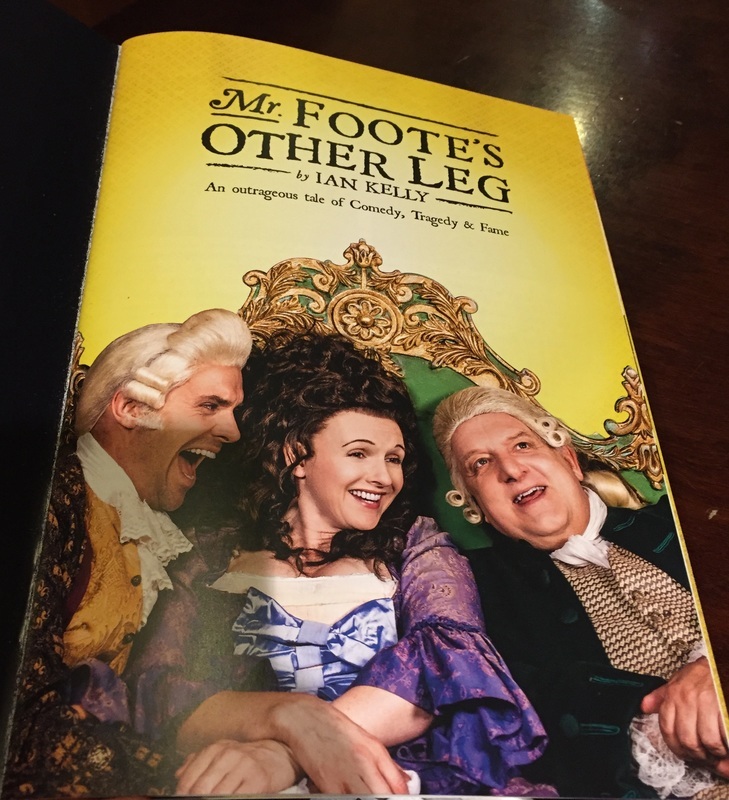 It is the kind of funny that has a sadness to it, and this story of Samuel Foote, a famously flamboyant performer who reveled in fame during the late 18th century, but who fought demons and injury (there is that matter of the missing leg, removed after a stage mishap, and a bit gruesome on stage!). The highlight of this show was my delight in finding Dervla Kirwan as one of the leads. Some of you may remember her as Assumpta on the BBC serial Ballykissangel, to which I became addicted while living in Melbourne. 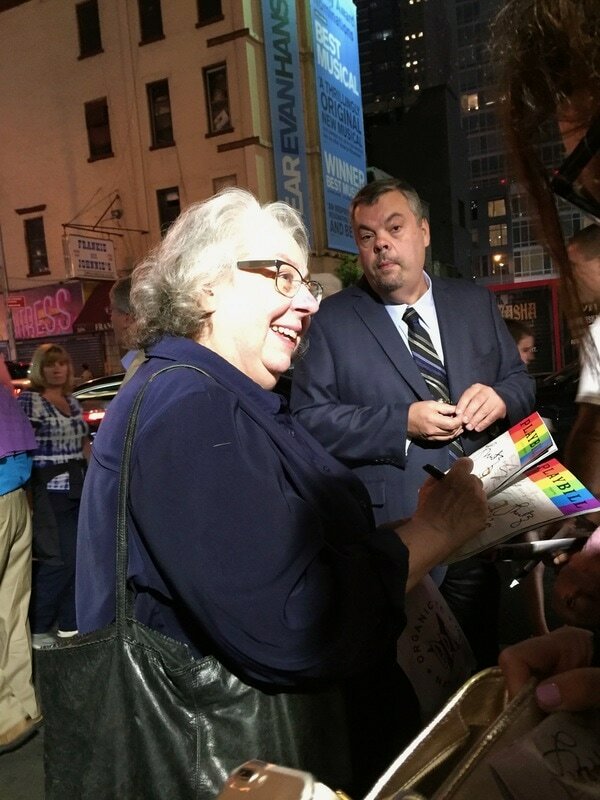 She was fabulously funny and sharp and a master of physical comedy in this show, and I loved her. This was a double-bill, with the first part of the evening devoted to All On Her Own, a phenomenal solo performance by Zoe Wanamaker, as a widow having a drunken conversation with her deceased husband; battling past pain and present loneliness within herself. 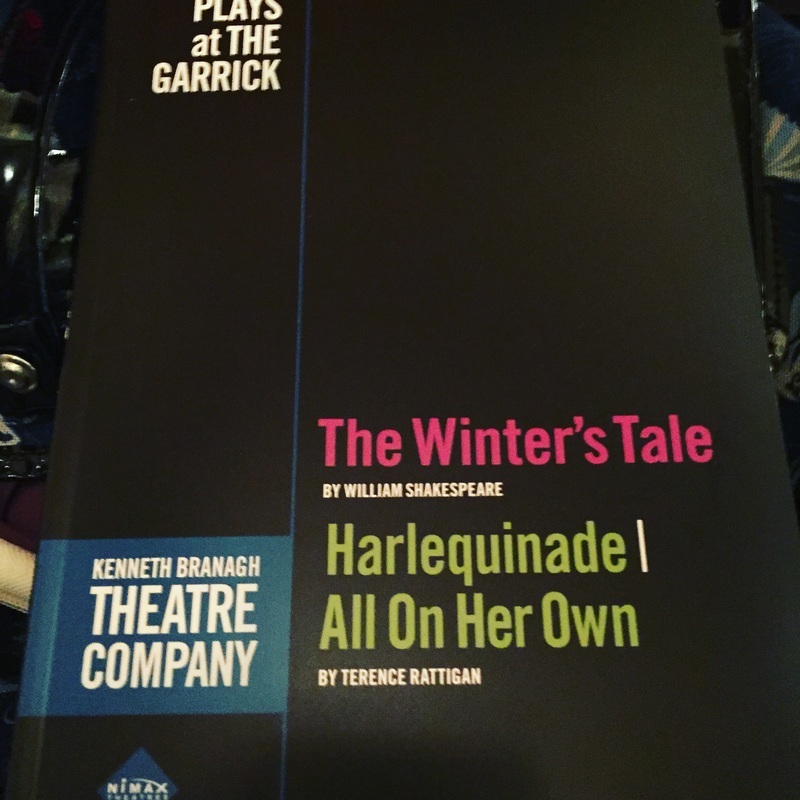 In stark, but not unwelcome, contrast, was Harlequinade, another farce about a company of unfortunately untalented theater actors attempting to stage a touring production, led by the hysterically funny, dim but ego-maniacal actor played by Kenneth Branagh. I had no idea Branagh was such a comedic talent, but this part clearly suited him. There were mistaken identities, pratfalls and happy endings, and it was good. 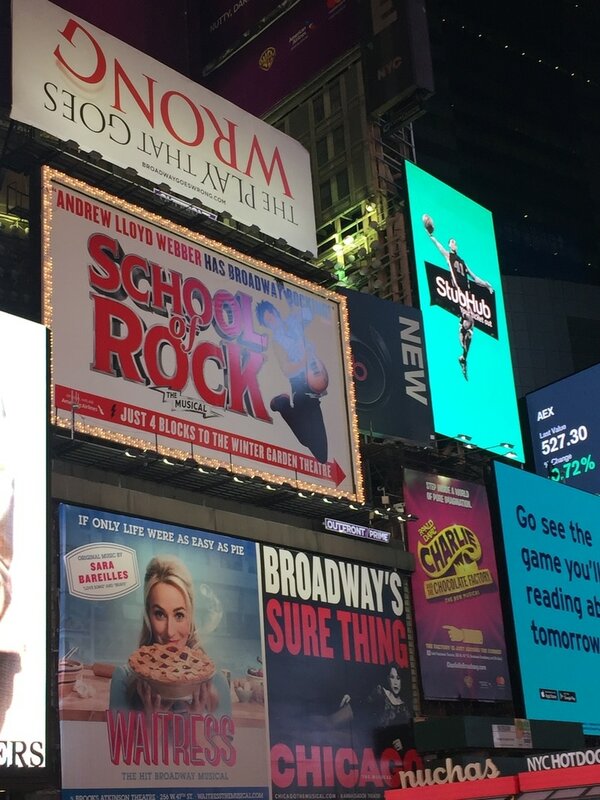 Sheridan Smith, I learned, is a veteran stage actor, television performer, and quite the celebrity in the UK. Name above the title famous. 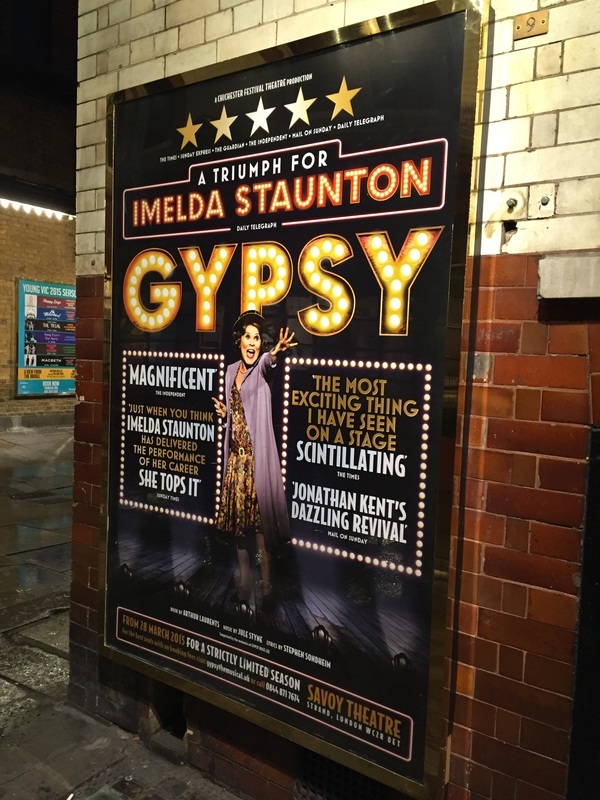 Having her star in Funny Girl was apparently quite a coup. 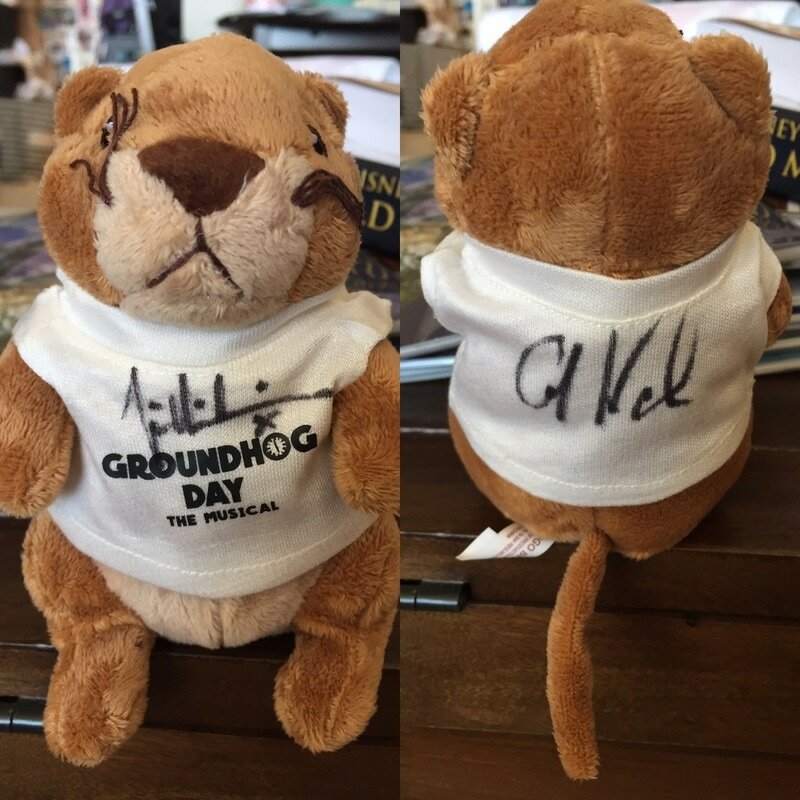 I can attest to this fame, as a fairly substantial segment of her fan club attended the first preview with me (evidence below). American director Michael Mayer spoke before the show started, and requested that we be a bit patient, as this was the show's very first full run through. However, with the exception of a small, technical blip with the two moving walkways on the already small stage, the performance went off beautifully! Smith packs a huge punch of talent and charisma in her 5 ft of height, and helped make this tiny theater seem massive. 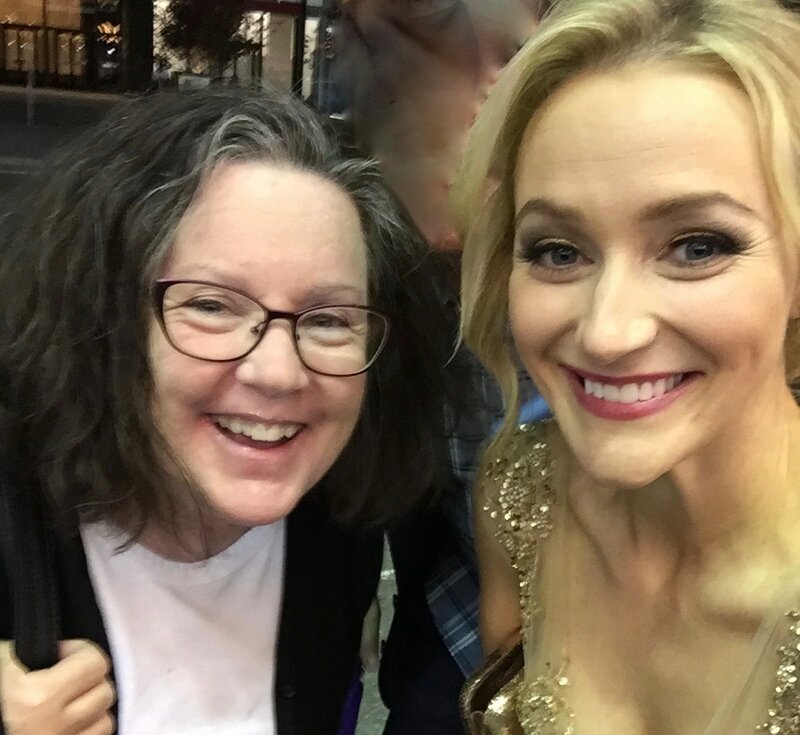 My companion for the evening was my friend Alan, and as he knew some of the cast members, we had some fun after the show chatting with them (shout outs Kelly Rees-Roberts (Homewood), Stuart Ramsay and Leah Harris, in photos below). Sheridan Smith is delightful, and it turns out that composer Jules Styne's widow was sitting inches from me on a couch after the show. I suspect the show will come to the US, but when I mentioned that to Sheridan, and said I'd love to see her in it there, she told me, "they won't want this little British girl as Fanny." I'm not as sure as she is, but I guess she's probably right. 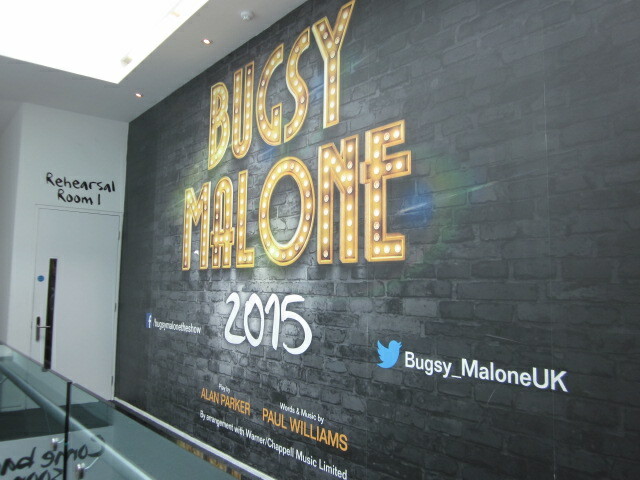 The show will play the West End through September '16 (as currently scheduled). Memories. Seriously, I have memories of Cats. At the National Theatre in DC in 1984, and being a dance fanatic (I may have organized groups of friends to see Fosse's Dancin' more than once), I loved the choreography especially. 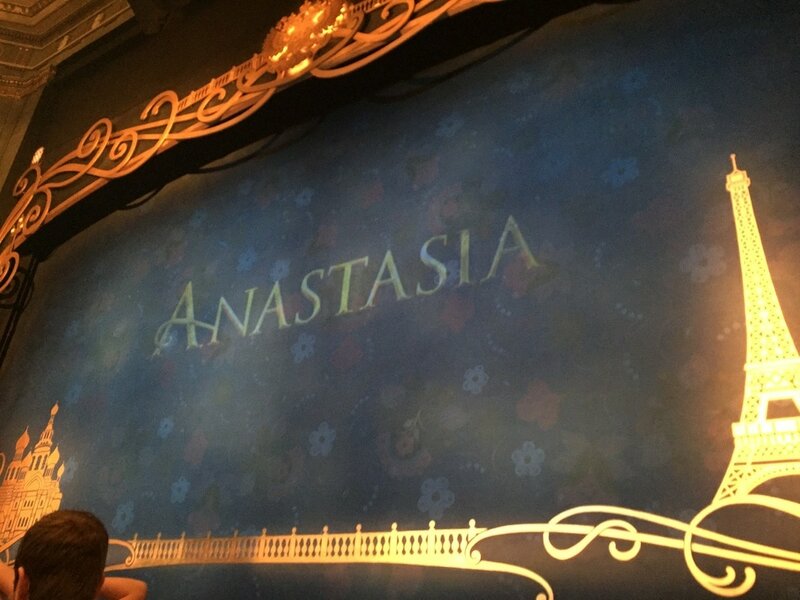 But I also loved the music, and I think it was seeing shows like Dancin' and Cats that made me realize that I do not need a linear story to enjoy theater. In fact, there's something very freeing about giving up that kind of control over the story, and letting your mind go. I realize that's not for everyone, but I think live theater is particularly good for that sort of experience. 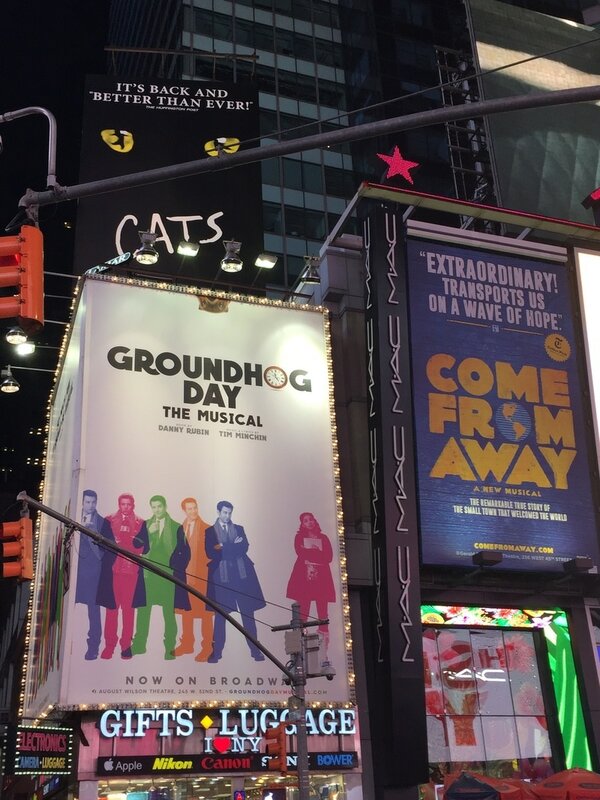 Plus, although "Memories" (the song) is not high on my list, this production reminded me of how much I really love the song "Jellicle Cats" :)!. I had been forewarned that Rum Tum Tugger is now a hip hop rap kitty, and I guess that worked for me (he was a crowd favorite for sure). This was by no means an understated production; the sets and effects were massive and elaborate. I will say that I think I preferred the more minimal approach of the original, in which I felt the focus was more on the music and dance, but times have changed :). Freezing cold outside. Even colder inside the cavernous space that is the King's Cross Theatre. I was thinking that I must have missed the memo about it being a cold theater normally, as I saw people across the way (it's a thrust stage with audience on both sides) bundled up in blankets. Turns out, the HVAC system was seriously malfunctioning, and about midway through the first act, they had to stop the show. The truly unfortunate aspect to this particular problem was that the story of In the Heights is fairly dependent on an oppressive heat wave happening in Manhattan. This meant that the actors were all performing in the most summery of summery costumes. 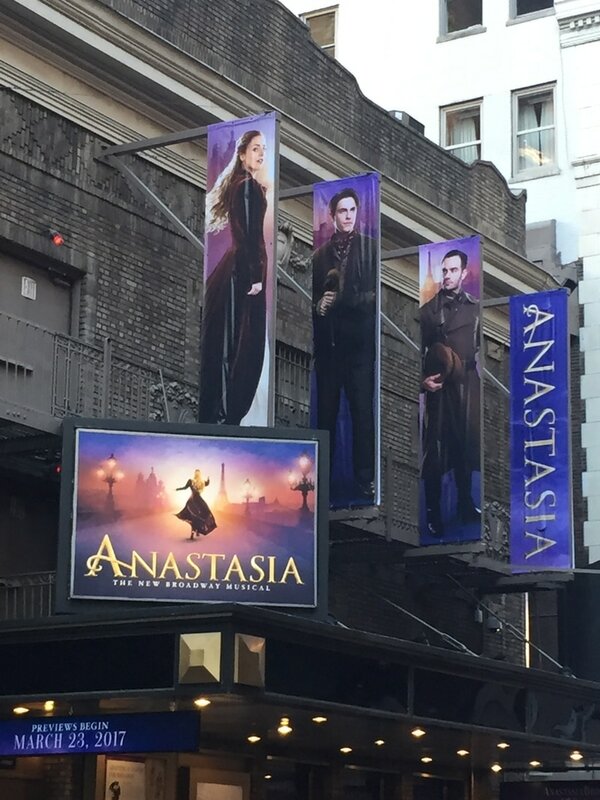 Not only was it hard to get into the spirit of it for the audience, the cast finally called it quits, saying they were simply too cold to perform. 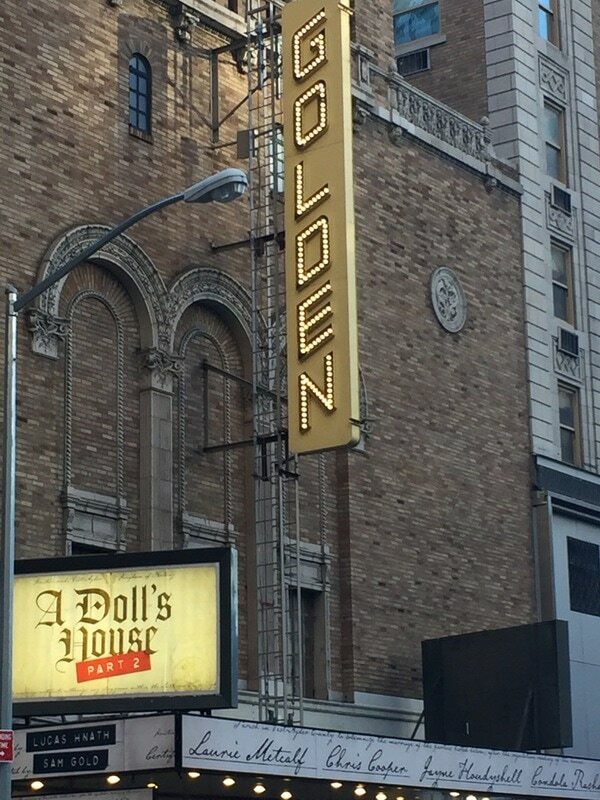 The theater staff handled it all well, even refunding the cost of the souvenir program for me (even more impressive was the automatic refund I received from TodayTix)! Note: Something to remember about seeing shows in London is that there is not the equivalent of the complimentary Playbill show program that we are used to at all US theaters, small and large. 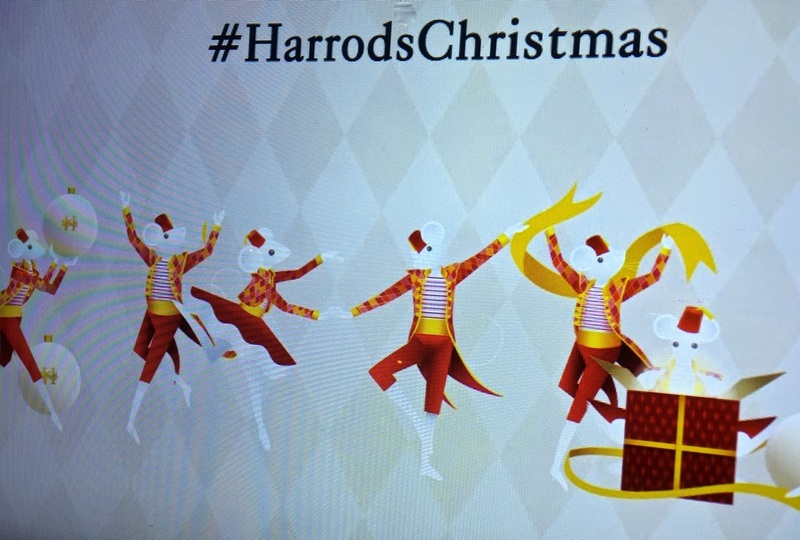 In London (and Dublin), the only program you will receive is one you decide to pay for, and is akin to what we think of as a "souvenir" program that is sold at the merchandise kiosks at the shows. This means that if you want to know about the actors and creative teams, etc., you will need to spend approximate £4-6, in addition to your ticket price. This was my second visit. Yeah, I'm a fan. And there are some new features (Hogwarts Express, for example). But my main reason for going this time was to see it decorated for the holidays! Loved. Covent Garden, Carnaby Street and the Tate Modern! As a postscript, I was in London the day of the attacks in Paris, and my walk from the Tube to the National Theatre that evening looked liked this, as London showed its solidarity with the French people.